I've done it. I've finally made the plunge. After years of thinking about it, talking about it, and having people ask me if I had ever considered blogging, I have done it. I have taken the first steps. Why? Years ago I taught a class called Self Reliance. It was a class that I developed with my friend Doc. He and I started talking about what students needed to know before they graduated from high school but seldom knew. We came up with a list, a list that I still have in my Self Reliance binder. The list that we came up with included things like: basic cooking, how a car engine works, how to hammer a nail, how to polish shoes, how to sew a button, and how to apply for a job. In the 12 years that I have been involved in education, this was by far the most fun I had in a class. It was also the most work, as every class required a significant amount of prep work and research, and every class required 100% teacher and student participation. I taught Self Reliance for five years, and I regularly get e-mails and Facebook posts from students about opportunities they had to jump start a car, wire an electrical outlet, or interview for a job. I cherish those messages. I am so happy that I was able to be an influence in those peoples' lives. But Self Reliance was as much of an education for me as it was for those students. The interests and abilities that I have do not necessarily come naturally for me. I had no idea how a car engine worked before I taught that class. I did research and studied. I regularly answered students' questions in that class with, "Let me get back to you on that." As a teacher, I found that I was also a student. And that is how I approach life. I want to be as much of a student of life as the students in the schools in which I work. I want to learn new things and share those experiences with everybody around me. I want to share tips, techniques, shortcuts, and strategies. 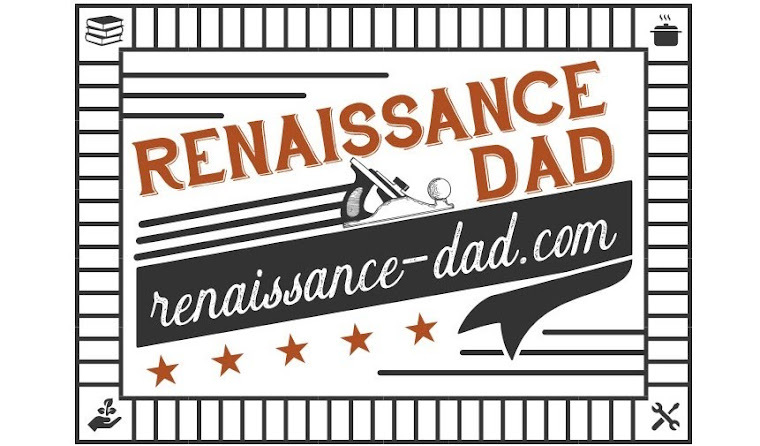 I want Renaissance-Dad to be a place where we can all learn and share and collaborate, with the end result being that we end the day slightly smarter than the day before. I look forward to hearing your ideas, thoughts, questions, and comments. Let's see how Renaissance-Dad develops!